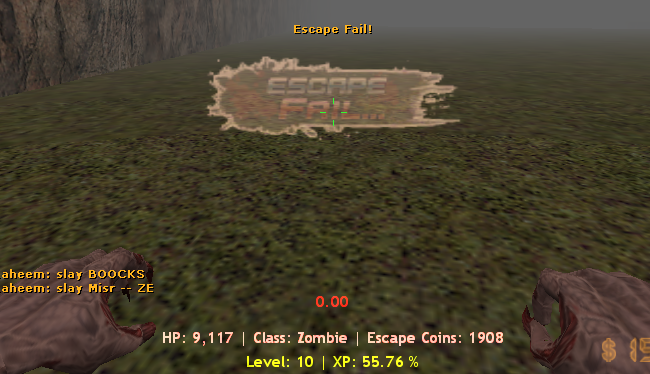 This plugin will add a nice Sprites in the Center of the Screen at the end of the Round, If the Zombies Win the Message will be: Escape Fail. If the Humans Win the Message will be: Escape Fail. Simply install it like any plugin and don't forget to copy the Models. Fixed: The model can be flipped, Now it will be right always. Yes, The old one was crashing the server because i was do mistakes now this version is stable and optimized. U Are using Re Api to make your code stable and optimized? Yes, All our mod uses ReAPI. ReAPI is faster than the normal amxmodx functions. It's not turning him to zombie, it only add him zombie hands to display the escape fail message. 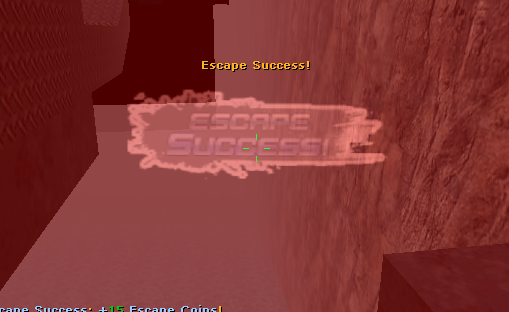 Escape fail message embeded in knife model. So maybe if u need this not to happen, to not show it for humans in case of round ended and humans not escaped. To edit core for this. What u think it's good todo? Think maybe core edit is needed. Will need add native to tell us if round end by time expiring or what. And to use it with this win message plugin. Willing to try or post core and i do?